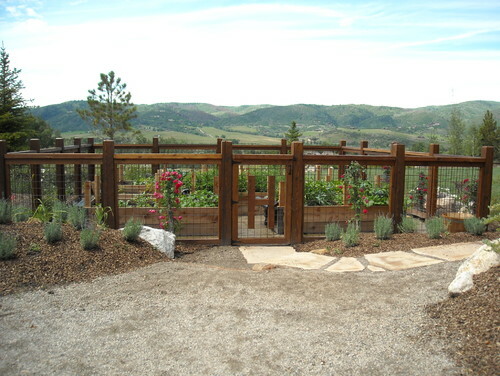 Mountain views come at a hefty price if you are a gardener. Unpredictable weather, a fleeting growing season, fast-evaporating water, heavy clay soils and “land that tilts like a roller coaster” (as Mother Earth News puts it), are just a few of the challenges that Colorado gardeners can be forced to face. But Coloradans who are not ready to give up on their green thumbs and garden dreams can find hope by learning the art of high-altitude gardening. With high altitudes come a high number of micro-climates, and the key to successful gardening in the Rocky Mountains is understanding your specific micro-climate. Colorado State University warns that this may require coming to the bleak realization that “one type of plant may be fabulous in a neighbor’s yard but fail miserably in yours.” But on the other hand (and more reassuringly), the process can be very rewarding as it gives you the opportunity to learn “the glories and subtleties of nature,” as the optimistic high-altitude gardener Elizabeth Caile says. When choosing garden plots, try to find areas that are somewhat protected from wind and receive breaks from the sun if possible. If shade is nowhere to be found, here’s where careful plant selection will save you! There’s plenty of drought-tolerant plants that are tolerant of scorching sun and waning water conditions. Test your soil and find out what it needs. Our soil in Colorado is alkaline (with a high pH) as opposed to most acidic US soils, so you will most likely have to lower the pH and add acidity. For edible gardens, stick to cold tolerant vegetables like lettuces, radishes, spinach, etc. and those that are known for short ripe-to-harvest intervals. The High Altitude Gardening blog has a great list of mountain-friendly veggies. Choose a method to effectively water plants on steep slopes. This resourceful milk jug method is one that could work. Stay tuned for more tips as the Colorado growing season continues!